Metal-pack Ltd. is the sole European representative of the Favor Company, which is the largest producer of metal packaging in Ukraine and one of five largest suppliers of such packaging to the countries of the former Soviet republics. For the last four years, since the opening of the Polish branch of Favor – Metal-pack Ltd. with its own storehouse, the tins produced by Favor have been supplied to EU countries, including the Czech Republic, Slovakia, Lithuania, Estonia, and Moldova. Metal-pack Company has succeeded in anchoring itself in this difficult and narrow market by applying our deeply held values in our current activities. 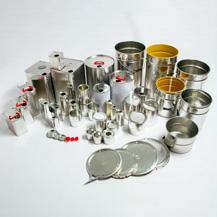 Metal-pack supplies metal packaging to the market. But it is not our sole activity. We also offer more complex solutions which need additional actions. Thanks to the technological potential and the broad cooperation with experts of various fields, we are capable of satisfying each demand from our Clients, even those most complex and untypical. Comprehensive services, including production, packaging, and our own transportation for delivery to destination. Relying on the high competences of co-workers. This list is open-ended. We welcome proposals for cooperation and there is always a space for any new branch where our tins could be used. Our policy is implemented based on clear principles, simple solutions, and transparent work. Each client is treated individually, first of all by listening attentively to his/her needs and capabilities. Metal-pack is the team of professionals capable of implementing any idea, developing any undertaking, and overcoming any difficulty. 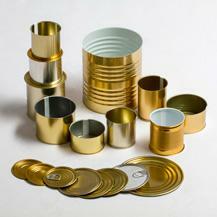 Metal packaging for food products is widely used in our daily life. Though the modern market has special demands for this type of packaging, we guarantee highest quality which is required. All the materials for such production correspond to the food products guidelines, volume of products vary from 150 cm³ to 35 000 cm³. 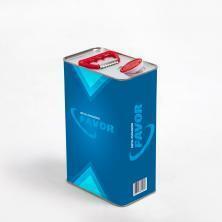 Metal packaging for chemicals takes the leading place in our production. Wide variety of products, shapes and sizes allows to cover the whole retail segment of paint and varnishes at petrochemical areas. Our packaging is used for various chemicals and is widely used for paint and varnish, petrochemical materials both on the alkyd or water basis. 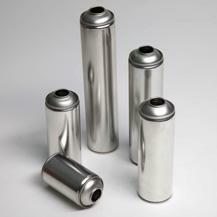 Aerosol metal packaging is one of the most demanding and perspective segments of our factory in Ukraine. In order to produce this packaging we use up-to-date highly-efficient equipment. Our products can withstand sufficiently high pressure: 12; 15; 18 Bar. In order to control the pressure we conduct the necessary tests with the help of specialized equipment. Tinplate lithography is a complicated multistage process of printing on tinplate, which replaces paper label for unique, aesthetic and the most important - protected from falsification product. The design center with the team of professionals will help you choose and develop a unique design of your packaging as well as it will help you to prepare a prepress according to current or new layouts quickly and properly. 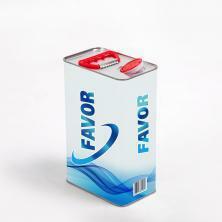 All products of Favor Ltd. are made according to the standards.